The nomadic lifestyle is one of the fastest growing lifestyles we have today. This is no surprise as there are countless of benefits of a location-independent job. 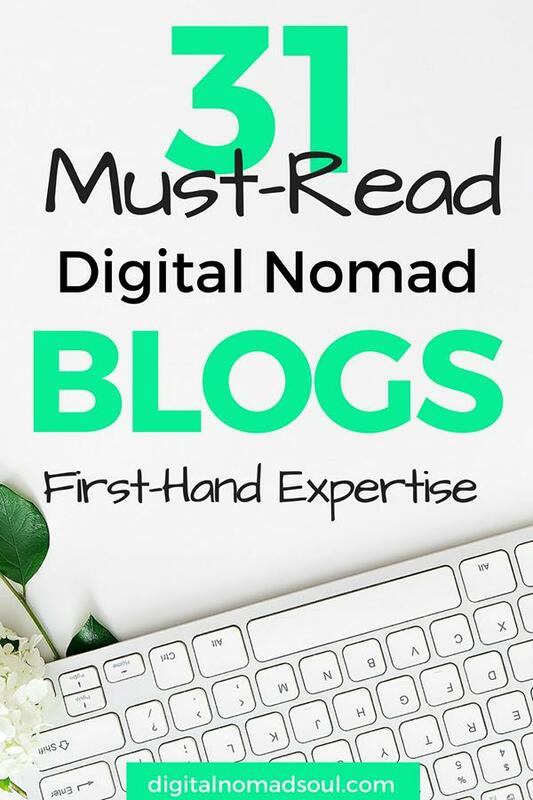 Luckily, there are many digital nomad blogs out there, which are jam-packed with helpful information, in case you are interested and want to learn more about it. The following list includes various types of blogs. Some authors make their income with the blog itself, e.g. travel blogging. Others have built up businesses with physical products or they sell services, such as coaching. Have a look at them and find the best resources to plan, organize or improve your new and exciting lifestyle. Christine and Drew started their journey in 2008, traveled to 38 countries, had 2 kids and currently live in Mexico. They talk about everything from travel to remote work, life in general and food. Very well written! Eli runs one of the biggest digital nomad blogs out there in terms of newbie information about this lifestyle. Learn what it means to live as a nomad and improve your lifestyle with their tips. Tom is on a mission. He wants you to stop wasting your life and start living your dreams. He helps you by providing in-depth guides to living a more fulfilled existence based on real experiences. And he’s doing a great job with it! One of the few digital nomad blogs that are addressed to women only. Jenny, a former PhD chemist, brings together lovely ladies around the world to enjoy the adventure of living a nomadic lifestyle together. Join their active Facebook group or one of their various retreats. This blog is not written by the usual singleton, but by a mom. Sharon had a husband and kids when she decided to start a digital nomad career. She managed to generate an income from affiliate marketing and spent her time traveling to over 90 countries. Inspiring and very interesting to read. Matt is a great example of someone who turned his passion for travel into a business. Being a fantastic photographer himself, he writes about photography and has some adventurous travel guides for you. Jodi is a former corporate attorney who realized during a sabbatical in Siberia, that she’d rather want to blog about food. She shares the lessons she has learned during her travels and provides honest information for anyone, who want to start something similar. If you are looking for digital nomad blogs that give you some inspiration on starting your new life or remind you why you chose it, this is the place to be. Sean quit his job, started to travel and soon realized how to make enough money online to continue this lifestyle. Rob and Mish blog about their business while living in many different cities around the globe. They share their experiences and give helpful tips for aspiring digital nomads. This might be one of the most “professional” digital nomad blogs out there. Andrew writes about offshore living, global citizenship and wealth creation. He wants to help his readers to increase their personal freedom and financial situations. Smart read. Matt is quite possibly the most popular and successful budget travel blogger out there. He has some great tips and advice on how to travel anywhere with little money. Fun to read and very informative. James is not only giving you the usual travel guides but more than that he provides useful information for digital nomads (especially in Southeast Asia) and great tips on long-term travel. David and Matija decided to leave their jobs to start a new lifestyle as digital nomads. Their blog talks about how to start working as a freelancer and how to improve your skills if you are already one. Amy values freedom, exploration, and adventures. You too? Great! Have a look at her blog where she writes about products, programs, and resources for long-term travels and a location-independent lifestyle. 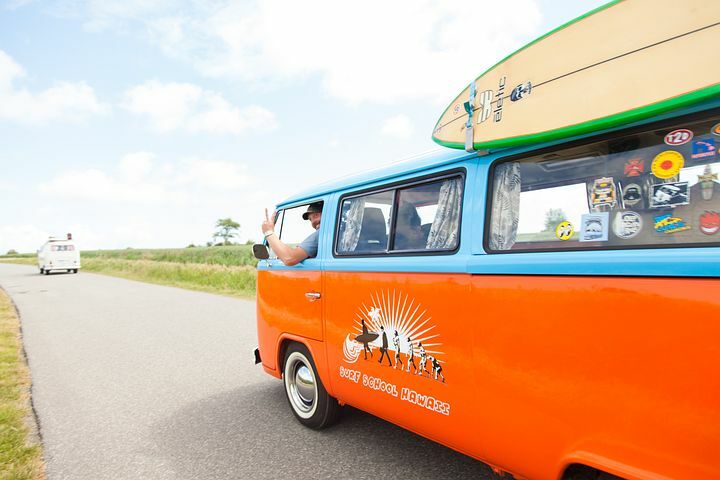 You are tired of your office job and want to start your nomadic life? Then this digital nomad blog is the right one for you. A group of experienced nomads explains how to begin your remote chapter and gives many helpful destination guides. Aleyda and Elisa set up a platform for all digital nomads and remote professionals. They want to promote the location-independent lifestyle by giving plenty of resources, advice, and information on pretty much anything you can think of. Jill and Josh started their new lifestyle with affiliate marketing. After a few months, their business was successful enough to sell everything and fly to Thailand. 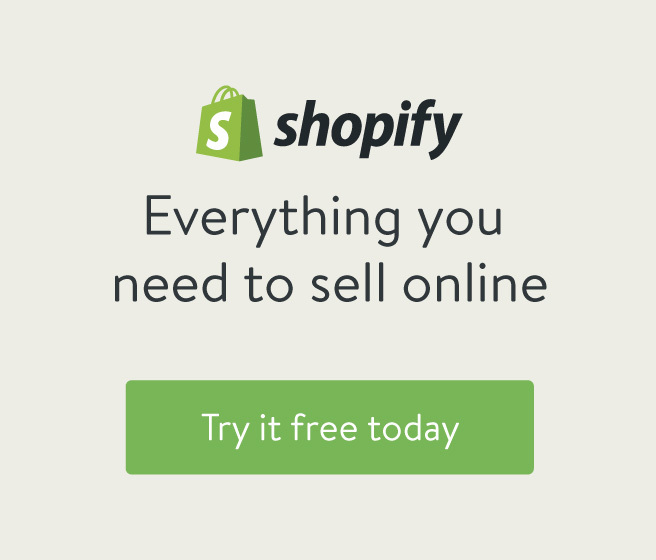 Today they help online business owners through their podcast and courses to make money. Clayton has been traveling for quite a few years now and managed to build a business from his backpack. Read about his adventures, travel hacks and thoughts on modern working. Rob decided that he doesn’t want to live a boring life anymore, got rid of everything he owned and started to travel the world. His blog is a documentation of his adventures including some great tips on living the nomadic life. You want to learn how to create a profitable online business that you can run from anywhere in this world? Check out Natalie’s blog as she is an absolute expert in that area and has tons of information for you. Graham had a successful, but also very busy life when he decided to trade this lifestyle to simpler one with meaning and freedom. Today he is traveling the world with his family while having different sources of income. Very inspirational. The guys from The Nomad Guru want to guide digital nomads and traveler all around the world by blogging about this lifestyle, travel, and work. They also use a forum and social media to connect nomads to provide support and understanding. Deb and Dave explain their story that started with a trip to South East Asia in2004. Their blog is now one of the most successful travel and digital nomad blogs out there, in which they share their incredible adventures. German couple Ka and Katie are traveling the world with their 5 kids (that alone would be awesome enough) while sharing life-changing health information. They managed to build an income online and now teach others to make a living with their passion. Lifestyle design blogging at its best. Cody quit his job in 2007 to start his freelance web development business. Today he gives plenty of information to (aspiring) digital nomads and encourages his readers to launch their own entrepreneurial projects. Not one of the average travel and digital nomad blogs. Dave specializes in technology issues for traveler. If you need any advice on gadgets, adapters, sim cards and such this is your place to go. Dan and Ian managed to build a million-dollar business based on physical niche products. Their blog provides fantastic business education that every location-independent entrepreneur should know of. Upwork is not only a very popular platform for freelancer to find new clients, but they also have their own blog. Here they write about any location-independent work topics and provide great tips on various issues, like productivity. Paul and his team want to show you how to build and grow an online business to live outside of the box. They provide tips, tricks, and advice on how to become a digital nomad and also on traveling in general. One of the first digital nomad blogs I’ve read. Johannes has some great travel guides for you and runs a successful nomad community on Facebook. His eBook with more than 60 destinations to live and work is very inspiring. Yes, shameless self-promotion here. If you are just starting out as a digital nomad, you will find loads of practical information on this blog. 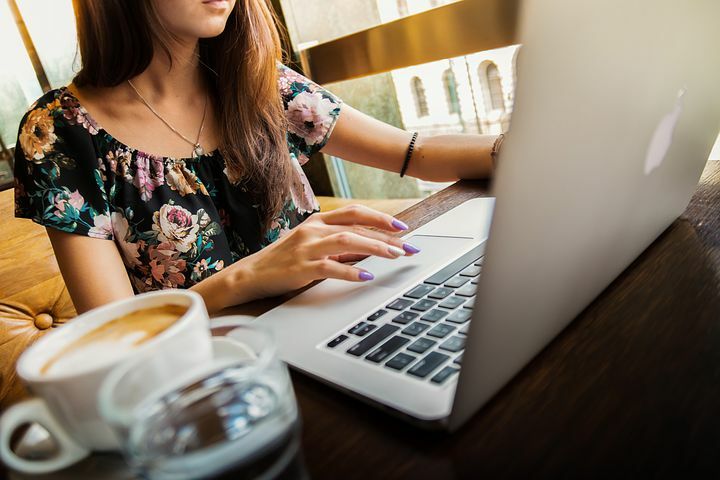 Everything from how much money you should save before you start your new lifestyle, how to find accommodation along the way, where to get online jobs or how you can increase your productivity when working from home. Have a look around and get helpful tips! How’s that? I bet you are overwhelmed with all the information out there. Don’t worry. Having so many websites to choose from is in fact pure luxury and a great benefit. Take your time and scroll through these fantastic digital nomad blogs to find the most helpful advice for you. If you want to see if you have all the necessary skills for a nomadic life, check out my blog post. You have a favorite digital nomad blog that is not listed here? Let the world know about it by leaving a comment below. Great list! Some of them I regularly visit, others are totally new to me.